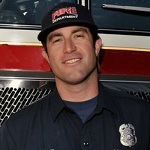 Paul Lepore is a currently a shift Division Chief for a Southern California Fire Department where he is assigned to manage the Special Services Division. In addition to managing the emergency responses for the City, his responsibilities include managing the EMS Division, the Emergency Operations Center (EOC), and the CERT program. Prior to his currnet position, Chief Lepore spent 23 years on the Long Beach Fire Department having promoted to the rank of Battalion Chief. He spent 5 years as a Battalion Chief working predominantly in the northern part of the city. He was also was assigned as the Battalion Chief in charge of the EMS Division for two years. He feels very fortunate to run some major incidents consistent with a big city fire department. He has also managed some pretty challenging personnel issues during his tenure as a Chief Officer. Chief Lepore will share both his operational and administrative experiences with you to better prepare you for your promotional goals. 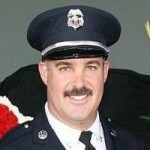 Chief Lepore entered the fire service as a civilian Paramedic for the Los Angeles City Fire Department in 1985. 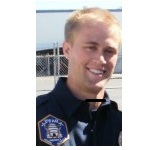 After completing his education at the Los Angeles County Paramedic Training Institute, Lepore worked in the high impact area of South Central, Los Angeles. 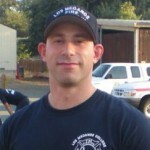 Lepore was hired by the Long Beach Fire Department in 1986 and completed their 12-week academy. He spent the next two years working as a firefighter until he was promoted to firefighter/ paramedic. Lepore was promoted to Fire Captain in 1998, to Battalion Chief in 2005 and is currently a Division Chief. Lepore has a Bachelor’s Degree in Vocational Education from California State University, Long Beach and an AA degree in General Studies, and has a Master’s degree in Public Administration. 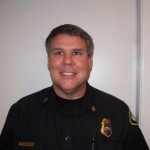 He has presented to local, and national audiences on current fire service topics including: Tactics and Strategy, Promoting in the Fire Service, How to Formulate a Plan to Promote, at Firehouse World in San Diego and Las Vegas as well as the CSFA Conference in Long Beach and at the Northern California Training Officer’s conference. He has conducted hundreds of entry-level interviews as well as served as a rater for dozens of Battalion Chief and Captain’s promotional exams. He holds instructor credentials for EMT, Hazardous Materials and Weapons of Mass Destruction. He has conducted numerous seminars at national conventions to teach and mentor both promotional and entry-level candidates alike. He founded EMS Safety Services, Inc., a first aid and CPR training corporation that certifies over 100,000 students each year. Lepore has two daughters with his lovely wife Marian, Ashley and Samantha. He is an avid saltwater fisherman and has written a fishing book titled, “Sportfishing in Baja”. as a group would like to pass along to aspiring firefighters. I recently met with an aspiring firefighter who had taken the step to become a paramedic. He was an academy graduate and still could not get hired. He became a paramedic with the thought that it would help him get hired. Good plan, right? Where his plan failed is that after completing paramedic school, he returned to his EMT job at the local ambulance company. Huge mistake! Here’s why……. As I scanned the parking lot, I was disturbed to see a private ambulance parked perpendicular in THREE spots. Everyone has an opinion of age when it comes to hiring new firefighters. Some people feel that a younger candidate has a better chance of getting hired because; after all, the fire departments are looking to hire a candidate for the next 30 years. As we come into the new year, I would encourage you to sit down and write out your goals. Researchers have found that those who take the time to put their goals down on paper have a much higher chance of reaching them. I was recently involved in screening fire department applications and I was amazed to see that 40% of the candidates did not follow the simple directions to include copies of their certifications. Subsequently all of these applications were disqualified from the process. Also, keep in mind that the people behind the counter at HR are very influential in the hiring process. Be sure to be nice to them! Posted in Secrets to Success | Comments Off on Follow directions! Getting hired in today’s economy is extremely difficult. Many departments are still trying to figure out what their budgets are going to be. The federal and state governments are still a moving target, which means that the cities and counties are still uncertain as to their financial status.